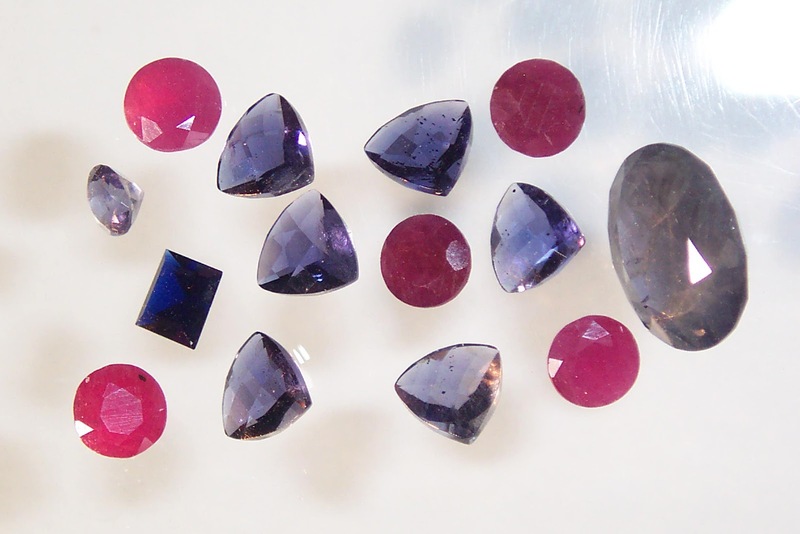 Faceted iolite, ruby and pink sapphire from Palmer Canyon. The US and Wyoming have abundant natural resources (including gemstones) that are not being developed. For instance, in Montana and Wyoming there is a world-class copper-silver-gold porphyry province comparable to those in Arizona. This region also has enormous potential to produce gold and silver deposits from veins and replacement deposits, and it doesn't end there. There are known giant resources in lead, zinc, titanium and molybdenum. One must wonder what the US and State governments are thinking? Any administration could turn this country around and provide unlimited resources, jobs and revenue. Government needs to be re-educated to work for its people instead of against them. We need to GET RID OF ridiculous regulations, duplicate regulations, and get rid of all of the needless agencies, and we could again become the greatest nation in the world. We have some of the hardest working and innovative people if only they can get assistance from bureaucrats. Getting back to mineral resources, Ask yourself, would I be better off having a nice walking trail I could use with 30 other people each year just to see grizzly bears periodically carrying off some environmentalist for lunch, or would I be better off living in a robust economy with thousands of new jobs, materials, and products made in the USA? The answer should be easy, but apparently not to the elite. What I am getting at is there are hundreds of regions in the US that contain incredible resources and have been locked up only to keep prospectors and other members of the public out. The Absaroka Volcanic Range skirts the eastern edge of Yellowstone hosts a major porphyry copper-silver-gold province that has been piecemeal withdrawn to protect Yellowstone even though Yellowstone is larger than some states and has the most caustic geological environment on the surface of the earth. All streams in the mineralized areas in the Absaroka Mountains drain away from Yellowstone, so there can be no environmental damage to Yellowstone if mining were to occur. than 100 ounces per ton in silver. 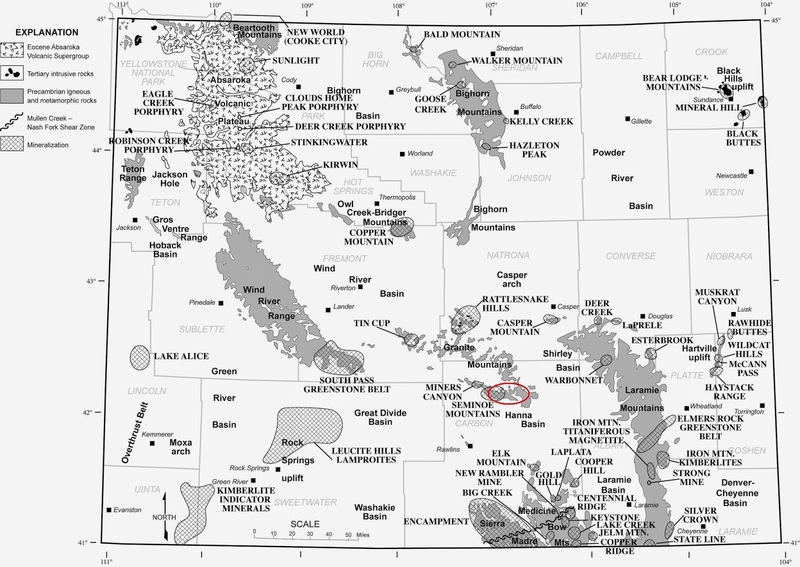 As an example, Kirwin in the southern portion of the Absaroka Mountains has at least one known giant porphyry copper-silver-gold-molybdenum-lead-zinc-titanium deposit that contains more than a $billion in identified resources that were drilled and trenched in the late 1970s by AMAX. This property was quickly withdrawn by the US Forest Service as soon as AMAX dropped their interest in developing an open pit and underground mine. This happened to mineral porphyry after porphyry in this range and culminated with the Clinton Administration taking the New World gold deposit from a mining company. If mining and exploration were allowed in this highly mineralized region, many other deposits would have been found by now. Another of many examples are colored gemstone deposits in Wyoming. When these were discovered, one would assume there would have been interest in developing these - after all, just one of the iolite gemstone deposits has potential to produce $millions in tax revenue. But as soon as the discovery was announced about this and other gemstone, diamond and gold deposits it was almost as if the State did not want anyone to know about these. What are they hiding? Another district that was piecemeal dismantled over many years by the Forest Service was the Encampment district in southeastern Wyoming. Conoco Minerals made several discoveries of zinc-copper-lead-silver volcanogenic massive sulfide deposits in this region. Deposits with some similarities to the great Jerome massive sulfide in Arizona. Every time the company, or any other came into this region to exercise their right to explore and file mining claims on claimable public land, the Forest Service was alerted to the possibility of economic mineral deposits and region after region was piecemeal withdrawn by the USFS in both the Sierra Madre and in the Medicine Bow Mountains to keep anyone from economic development. What is so wrong with economic development? And these are just a few examples and there is considerably more mineralization in these regions including significant gold, platinum, palladium, chromium, titanium, nickel, vanadium and iron mineralization. With BullionVault you may buy physical bullion bars at current spot prices. Your bullion is kept at 1 of 5 secured global vaults. And you are able to sell it online or withdraw physical bars. I found so many exciting Information in this particular blog about Gemstone. Thanks for sharing this valuable post with us. Very Good Post about gemstone , it really helpfull . I've Been To Kirwin multiple times, and the mining operation wasn't ended because Wyoming is trying to hide its mineral deposits. It ended because the towns that were close enough at the time to enable the people to mine are in the mountains, so they had to fight with crazy weather. Specifically avalanches in the winter. Nowadays if you had enough money to have equipment and whatnot though you can get the proper licensing to prospect comercially, and recreationaly you dont need any licensing. Nonetheless good blog. i like the maps.